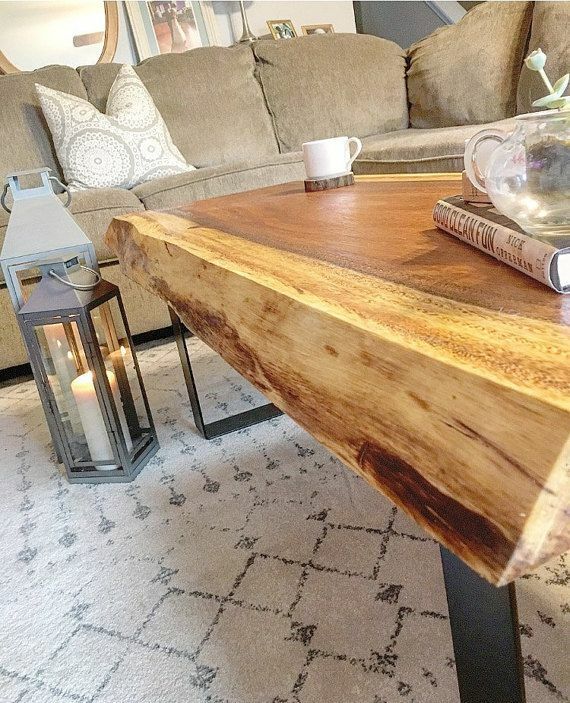 Make a statement in your living room with this incredible live edge coffee table! 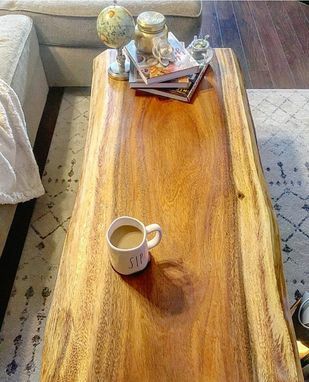 This coffee table is made from an exotic Monkey Pod slab from Hawaii and it measures 48" x 21.5-23.5" x 2". 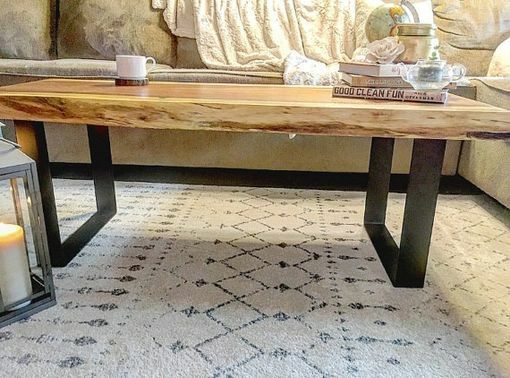 The coffee table itself is 18" high with the steel legs attached. 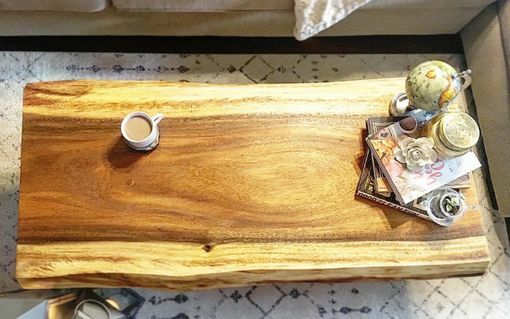 We used multiple coats of resin modified tung oil over several days to enrich the natural color and add protective layers on the outside. Shipping is a flat $100 inside of the United States, and the coffee table will be shipped out within 48 hours after the order has been placed.